Nike has made a special Air Max 1 just for the PGA tour. This model of Tinker Hatfield’s design sees an all-green upper which sits atop a white midsole and gum rubber outsole. 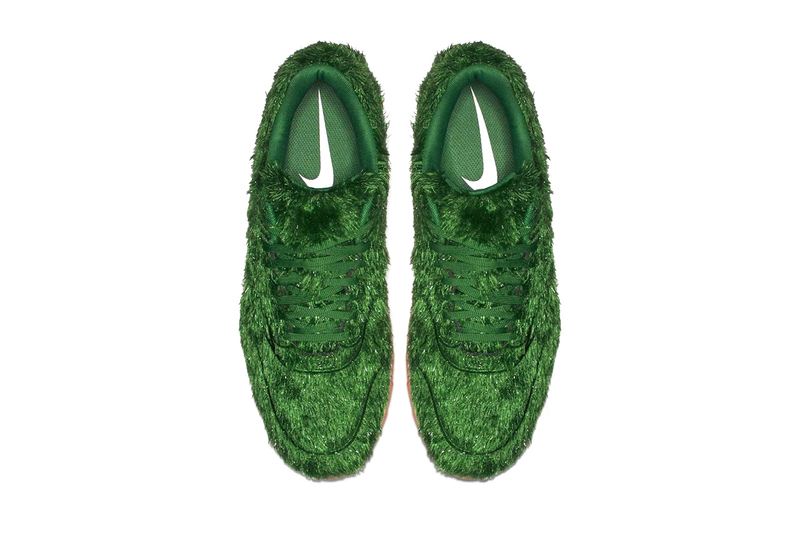 Complemented by a white Swoosh on the lateral and medial sides, the upper also receives an makeover with grass like material that look like those of a golf course. The rubber outsole gets a rugged golf-ready traction instead of its original flat pattern to complete the look.